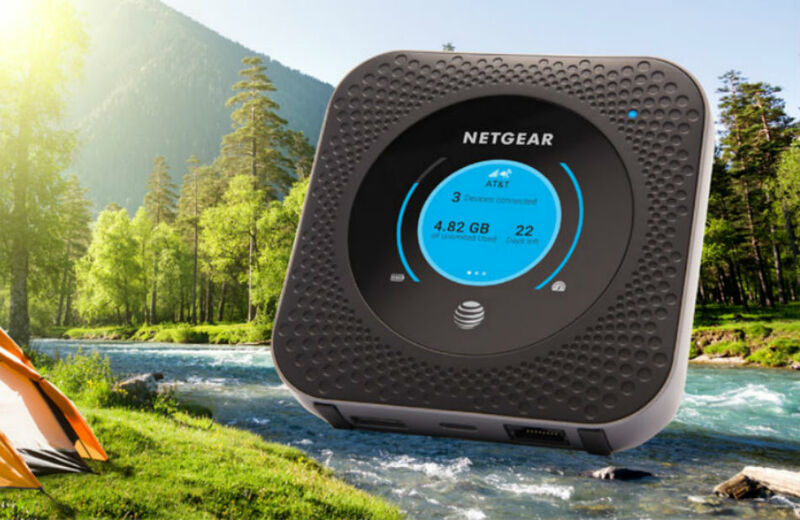 Beginning this Friday, AT&T customers can pick up a Nighthawk mobile hotspot router, capable of pulling down 5G Evolution speeds for your devices. This mobile hotspot, produced by NETGEAR, can connect up to 20 devices and features a 5,040mAh battery. According to AT&T, that’s good for 24 hours of battery life. Of course, the important aspect concerns data speeds. As detailed, 5G Evolution speeds should equal about 2x the speeds you’ll have with standard 4G LTE. This, of course, will vary greatly depending on where you are located. For more info on AT&T’s rollout of 5G Evolution, see here. For pricing, AT&T will list the Nighthawk at $49.99 when purchased with a two-year contract. That means you’ll need to sign up for service on the device at time of purchase. Again, this mobile hotspot goes on sale Friday, October 27.